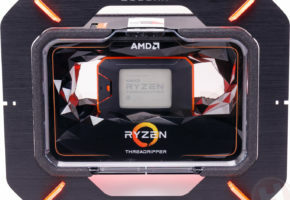 Do you know how much will Threadripper 2000 series cost? Well, we do. Let’s start with the most important question: what do WX and X even mean? Well, in AMD’s own words the WX series are designed for “creators and innovators”, whereas the X series are for “enthusiasts and gamers”. That’s it. 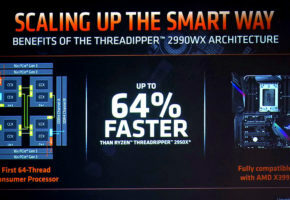 The 32-core, 64-thread Threadripper 2990WX will cost 1799 USD. 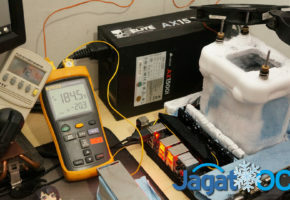 This chip will boost up to 4.2 GHz. The model with 24-cores and 48-threads (2970WX) will operate at the same frequency as 32-core SKU. It will also be 500 USD cheaper. Both WX series processors will be 250W TDP models. The two members of the X-series (for gamers) are called 2950X and 2920X. Both will be available under 1000 USD. The 16-core and 32-thread model will boost up to 4.4 GHz and it will retail at 899 USD. 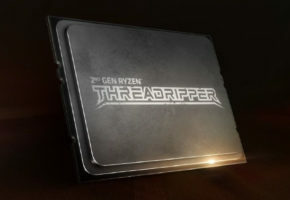 The slowest Threadripper from 2000 series will only cost 649 USD and offer 12-cores. The X-series processors are 180W TDP. 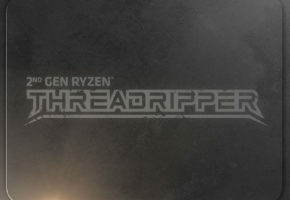 According to our sources, only Threadripper 2990WX will be available at launch, followed by 2950X and 2970WX and 2920X ‘later’.